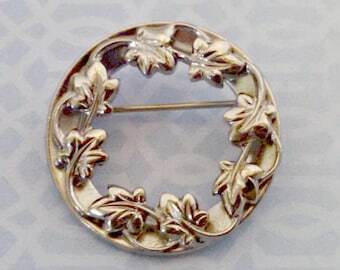 DESCRIPTION: Circle pins were very popular in the 1950s, and were often used as a sign that a young man and young woman were going steady. 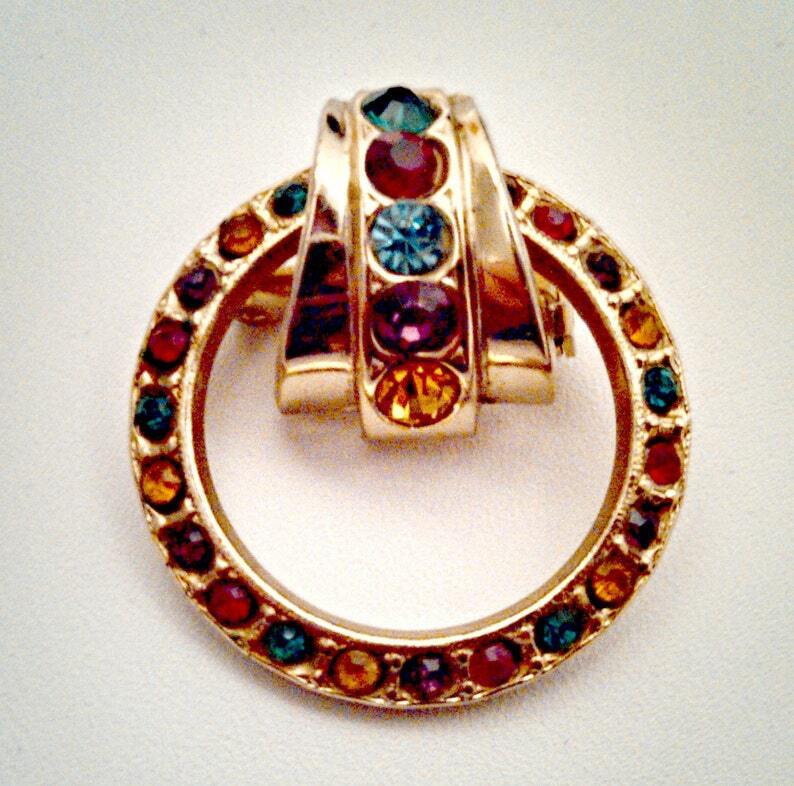 This beautiful circle pin was made in the 1950s by Coro and is crafted in gold tone metal with small rhinestones alternating in the colors of emerald green, ruby red, amethyst, and topaz. 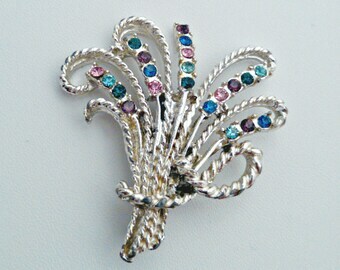 Across the top is a half ribbon that has five larger rhinestones of emerald green, ruby red, aquamarine blue, amethyst, and topaz. (The ribbon is the only place where there is a light blue rhinestone.) 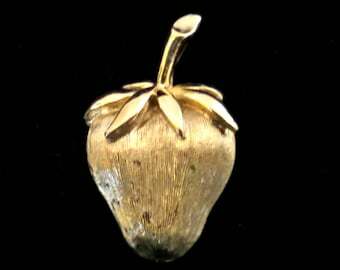 The Coro mark is on the back, underneath the pin. 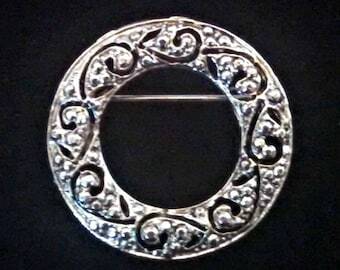 The brooch will be shipped in a gift box with jeweler's cotton. 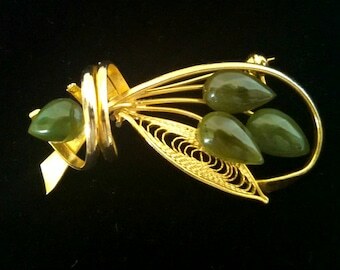 CONDITION: This brooch is in excellent condition. 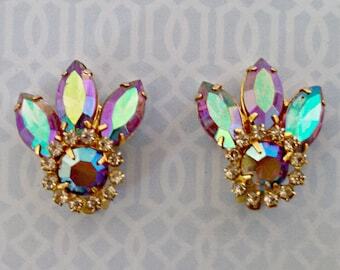 There is no wear to the gold tone, and no stones are missing. 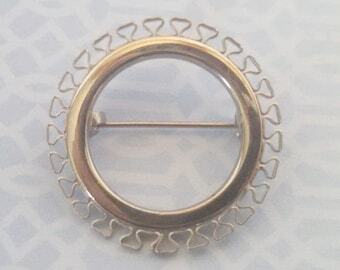 USE: This is a lovely circle pin to wear on a cardigan, suit lapel, or shift dress. 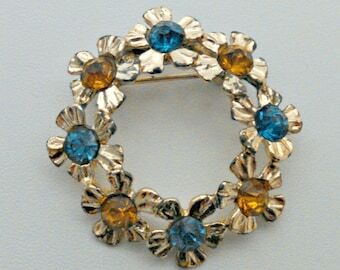 Because of its multicolor rhinestones, it would be a wonderful gift for a mother or grandmother.